The phone has been masked, but there�s really only a couple of possible options � Huawei P30 Pro or Oppo Reno. But there�s a hint in the video, the phone will be announced �very soon�. The P30 Pro fits that bill � it�s less than a week away. Walbeck focused on shooting video with the phone and the quality looks great. Zooming in is the highlight of the video. 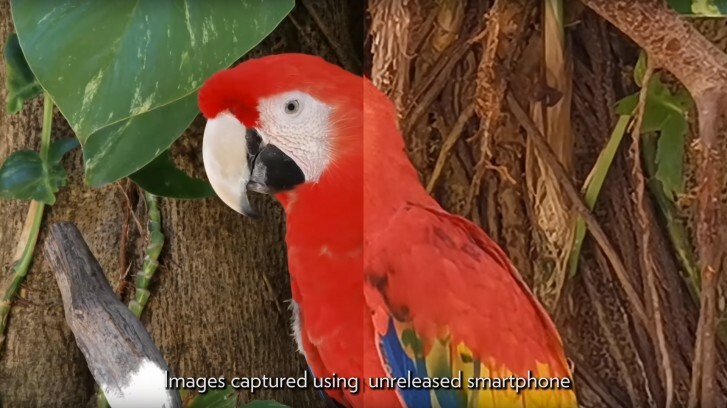 At the 2:20 mark you can see a comparison between digital zoom and the phone�s optical zoom � it�s night and day. That said, the phone also boasts some computational magic to improve the quality of digital zoom for when you need to get closer. Note that the phone was in a stabilizing gimbal for many of the shots, but the low-light scenes were shot handheld � this is mentioned in the video. There�s also some �behind the scenes� footage shot with a DSLR, but you can�t see the phone � it�s hidden under a frustrating question mark.